MARINE insurance is facing a period of disruption, whether it finds that development congenial or not. There will be good and bad effects from new technology, while the decision of the British electorate to quit the European Union, market forces making for consolidation, and climate change will come together to shake things up in the months and years ahead, we predict. Long seen as basically a poor cousin of FinTech, InsurTech has emerged as very much a watchword over the past year. What is more, marine insurance — not really big business for today’s corporate insurance giants — has somehow found itself at the centre of the revolution. Nicholas Berry, a partner at Norton Rose Fulbright, specialises in this field and has been watching developments closely. “I have watched as it has affected the commercial sector, the retail sector and now the marine sector. 2018 feels to me as if it is going to be the year of MarineTech,” he says. The state of play is symbolised by the recent launch of what has been hailed as the world’s first blockchain platform specifically geared to the niche of InsurTech. The effort — led by professional service major EY and Guardtime — has plenty of big name backing from the likes of Maersk, Microsoft, Willis Towers Watson and XL Catlin. It is said to be able to do just about everything short of making your morning cuppa. It does this by creating asset data and linking it to policy contracts. Other projects include an artificial intelligence-powered marine insurance analytics platform from UK company Concirrus. The firm’s software provides behavioural analysis that considers a ship’s location, speed and other factors to enable it to offer more accurate underwriting models. As our sister publication Insurance Day has reported this month [April], Concirrus has very recently signed a partnership deal with EY, which should enable it to scale up the offering in the near future. Andrew Taylor, who will shortly take over as chief executive of the UK Club, is even more enthusiastic. “This new technology is likely to have a big impact on the risk profile of a ship, and enable premium rating to use enhanced-data tools,” he maintains. InsurTech may be the future, but as we now know, there is a dark side to technology, too. Cyber risk, as it is known, has been highlighted through hacking incidents at Maersk and Clarksons. The world’s biggest shipping and ports group found itself anything up to $300m out of pocket after the collateral damage it sustained from rel=”noopener noreferrer” what was basically a malware attack on Ukraine last year. The world’s biggest shipbroker is known to have been blackmailed, although it has chosen not to reveal the nature of the data breach. “As far as we know, however, CL380 has never been tested in the courts and there is some concern as to whether it is adequate in the modern environment,” he noted. Norton Rose Fulbright partner Chris Zavos added that the clause is being revisited, and that a revised wording is likely at some point. 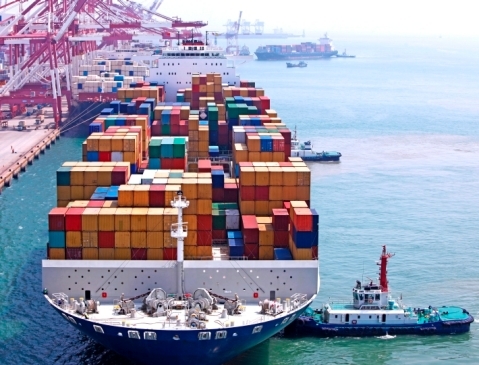 The International Maritime Organization has only just reached a landmark deal to halve greenhouse gas emissions from shipping by 2050. But that deadline remains many years away, and climate change is happening here and now. Natural catastrophes — or ‘nat cats’ in insurance jargon — have been on a steady upward trend since 1980. The year 2017 was one of the worst years in living memory for nat cat claims, with the insured damage caused by hurricanes Harvey and Irma alone running to $50-70bn, according to Bronek Masojada, chief executive of Hiscox. Swiss Re modelling tools have simulated hurricane event scenarios in which insured losses have topped $250bn. Marine insurers inevitably find themselves in the firing line, too. For instance, a hailstorm in Germany in July 2013 saw hailstones the size of tennis balls, up to 11 cm in diameter. This led to $3.6bn of damage, $2.6bn of it insured, at Bremerhaven, making it the most expensive hail event in history. Much of the bill was for cars stored in the port. Meanwhile, the European heatwave of 2003 was a 500-year event and devastating for inland shipping. All of this will inevitably affect marine underwriting. At the very least, the risk will have to find a realistic reflection in pricing. Insurance consolidation has been with us for several years, but Axa’s rel=”noopener noreferrer” takeover of XL Catlin — itself the product of merger in 2015 — underlines just how fast rationalisation is transforming the sector. Both companies are significant players in hull and machinery. However, industry sources have told Lloyd’s List that the latest deal will not in itself be sufficient to harden the perennially soft marine hull market. Even so, the combined entity will likely prove a formidable force in mainland Europe, in which Axa traditionally has a strong position that is not always apparent when seen from London. XL is a major presence in hull insurance through its XL Catlin affiliate. Axa is better known in the marine insurance world for cargo insurance and is strong in this sector in Germany and southern Europe. With less than a year to go before Britain leaves the European Union, not even the outlines of the terms of departure are yet available to British businesses. Let’s not mince words. That’s an utterly astonishing state of affairs, and certainly not good news for those charged with planning what their companies’ work in EU markets in the years ahead. Marine insurers are working out their fallback positions anyway, and making sure they retain single market access, even if Britain does not. While Shipowners and the London are already honorary Europeans, being regulated from Luxembourg for reasons not related to Brexit, the remaining British International Group affiliates are also setting up shop inside the EU. The North and Standard, for instance, have opted for Dublin, while the UK Club has chosen Rotterdam and Britannia for Luxembourg, making the landlocked Grand Duchy quite a little P&I hub on the quiet. Lloyd’s List has spoken to several of the clubs involved, and all are insistent that this will not be a brass plate exercise. These will be small but substantial offices, with real underwriters writing real business, they stress. Some even see a silver lining in all this, in that serving continental European members closer to home represents a boost for levels of customer services. In the long run, this development may even prove to be a spur towards the establishment of more offices outside the UK, according to the UK Club’s Andrew Taylor. “With Brexit pushing many insurers to establish a subsidiary within the EU, there may be greater regionalisation in future,” he notes. “Most of the clubs have offices in the key markets, the UK Club has offices in Greece, Japan, Hong Kong, Singapore, the US and China. The situation is less urgent for the major hull underwriters, which are part of bigger groups with existing operations inside the European Economic Area anyway, insiders added.